With the cooler weather settling in, I’m looking forward to getting cozy and making my home feel like a modern cabin! This is my second collection I designed in Asheville, the first being the Gemstone Collection. The Blue Ridge Mountains have slowly become my new home over the past year and a half. The mystical clouds, the velvety pine mountains sprinkled with the changing fall leaves – the Blue Ridge Mountains have changed my color palette from saturated brights to deep indigos and earth tones. 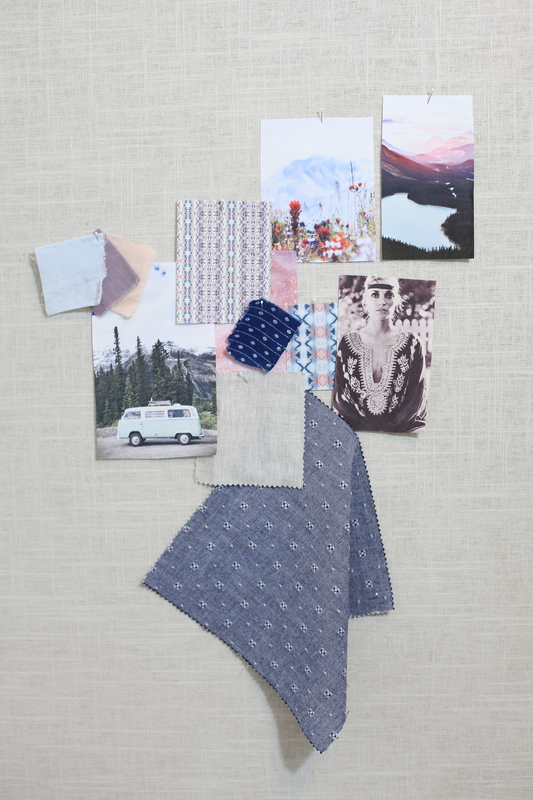 The 6 new patterns are backed in chambray and slate gray linen. Mix and match between the prints based on the linen color for easy bohemian decorating!